When atheists are looking to blame Christianity for all that is wrong in the world, they are inclined to run through the usual litany of crimes against humanity, including the Crusades and the house arrest of Galileo. My first reaction is to say that this has nothing to do with New Testament Christianity. My second reaction is to point out that much of what we think we know about these events comes to us from people who have an axe to grind against the medieval Catholic Church, Christianity, religion, or all the above. Real historians have done their best to set the record straight, which the New Atheists blithely ignore as they regale the unfaithful with sordid tales of Christians acting unchristianly. The same rap sheet usually includes the witch-hunts of the late 1500s and early 1600s. According to some estimates, around 110,000 people were tried for witchcraft, and as many as 60,000 may have been executed. Critics blame these horrors on what they take to be the inherent evils of religion. In the Enlightenment, the medieval church was faulted for its irrational belief in witchcraft. Today, in the cultural morass we call Postmodernism, the medieval church is faulted for using witchcraft as an excuse to pick on lonely elderly women, or practitioners of pre-Christian pagan beliefs, or both. The first angers the feminists, and the second has become a cause célèbre of New Age Wiccans. Again, I would reply that the witch hunters were hardly following the teaching of Christ and His apostles. 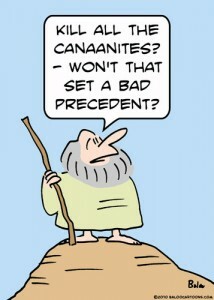 Nor were they following legal precedent from the so-called Dark Ages. In 785, Charlemagne enacted martial law on the newly conquered pagans of Saxony. Article 6 of that law blamed belief in witchcraft on the deceits of the devil, and imposed the death penalty on anyone who burned a witch. Misguided vigilantes posed more of a threat to life and property than a few pagan “witches.” So much for the Dark Ages. Charlemagne and his contemporaries wrote magic off as a pagan fantasy. In this respect, they were closer to the Christian worldview. From a Biblical standpoint, nature works in a regular way until God intervenes. There is no room for magic and witchcraft because God reigns supremely over both the natural and the supernatural. 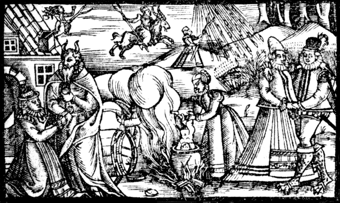 The great witch hunts of later centuries undermined this view by giving witchcraft a newfound credibility. The whole point of magic – or maybe that should be magick – is that there are hidden forces within nature that can be manipulated for good or evil. Don’t get this confused with magic used as a plot element in Lewis’ Narnia series or Tolkien’s Lord of the Rings. And don’t get this confused with the stage magic used by entertainers who pull rabbits out of their hats. To claim that magick is something more – that it is metaphysically real – is to deny the Biblical worldview. This is why the Bible takes a no-holds-barred approach to magick, sorcery and divination. Under the Old Law, sorceresses were put to death (Exodus 22:18). This may sound harsh, but sorcery represented a clear and present danger to God’s chosen nation. If the Israelites could be conned into thinking that a pagan sorceress had real gifts of sorcery, then perhaps they could be conned into accepting her prophetic guidance as well, which could lead the people into soul- and life-threatening situations. 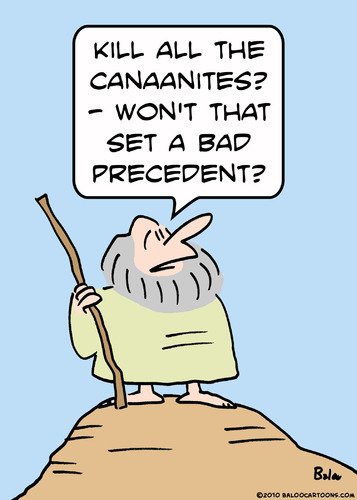 This helps us understand a potentially difficult passage in 1 Samuel 28. On the eve of his final battle, Saul consults the medium of En Dor. He asks her to conduct a séance with the dearly departed Samuel and, indeed, the spirit of the prophet appears in their presence. But is Samuel’s appearance a genuine piece of sorcery, or the work of God? The woman’s reaction gives it away: she cries out in a loud voice (vs. 12). She is shocked because she has never been able to summon the spirits of the dead. Her mediumship is a fraud, and she knows it. This is the work of God. The same skepticism holds throughout the New Testament, and especially in Acts. Luke repeatedly draws a distinction between the real power of the apostles and the fraudulent claims of people like Simon and Elymas (8:9-25; 13:4-12). The apostles’ miracles are not tricks; they are not demonic; they are not self-serving. Their power is from God, just as the Gospel they are preaching is from God. Mystics and charlatans were not the only ones with a magic problem. Christians in Ephesus still clung to their magical scrolls (19:18-19). Their worldview was confused and incomplete. It has to make us wonder: How much stock do we put in black cats and four-leaf clovers? Maybe it’s not witches or magick for us. Maybe it’s something else, like astrology or evolution. But clearly there are consequences for not building a thoroughly Christian worldview. Bertrand Russell, Why I am Not a Christian. London: Routledge, 2004, pp. 22,123,161; Richard Dawkins, The Devil’s Chaplain. New York: Houghton Mifflin, 2003, pp. 148,159; Richard Dawkins, The God Delusion. London: Bantam, 2006, pp. 1,37,41,166,308,312. Daniel C. Dennett, Breaking the Spell. New York: Penguin, 2006, 30,43,408; ad nauseum. Edward Peters, “Witchcraft,” Encyclopedia of the Scientific Revolution. New York: Garland, 2000, p. 1069. Peters’ figures are at the high end of estimates. Karen Jolly, Witchcraft and Magic in Europe. London: Athlone, 2002, pp. 23-26.